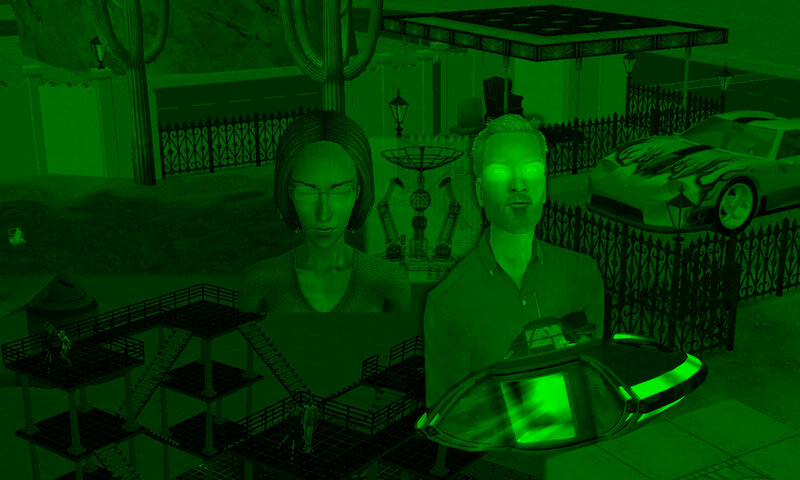 StrangeTown Specter Yard Conspiracy (STSYC) #3: One In, One Out? 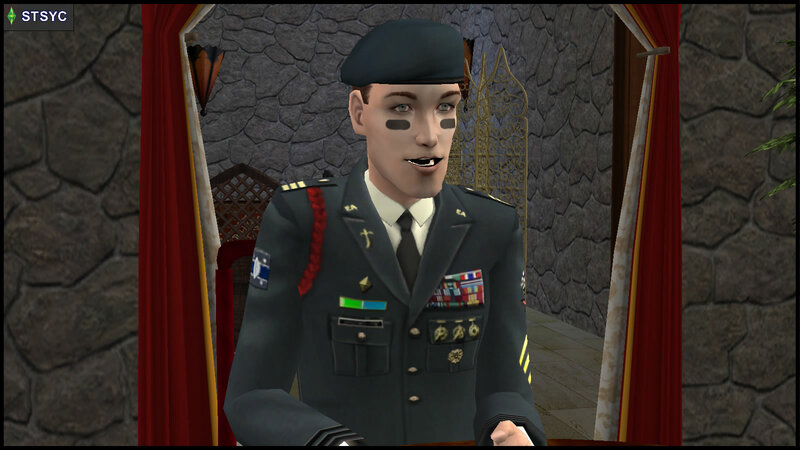 Olive Specter had put on her seasoned poker face for her military neighbor, General Buzz Grunt, when he arrived at her house for this confrontation. Grunt fell silent. Before coming in to see Specter, he did walk through the graveyard for a while, and remembered seeing only last names like “Muenda”, “Nigmos” and “Specter”. 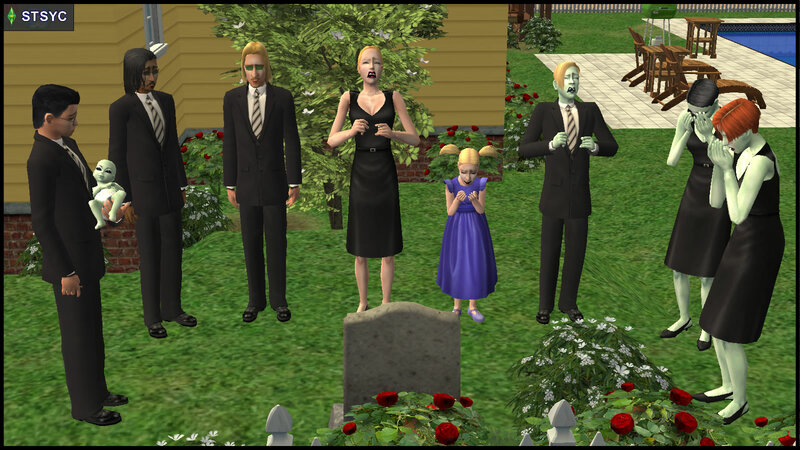 The rest of the poor unfortunate souls, whoever they were, were condemned to an ignominious oblivion, the memory of their brief existence cruelly erased by their unmarked graves. If Lyla were indeed among them, Grunt would have to try to convince Specter to release her. If not for himself, at least for the sake of his three sons. 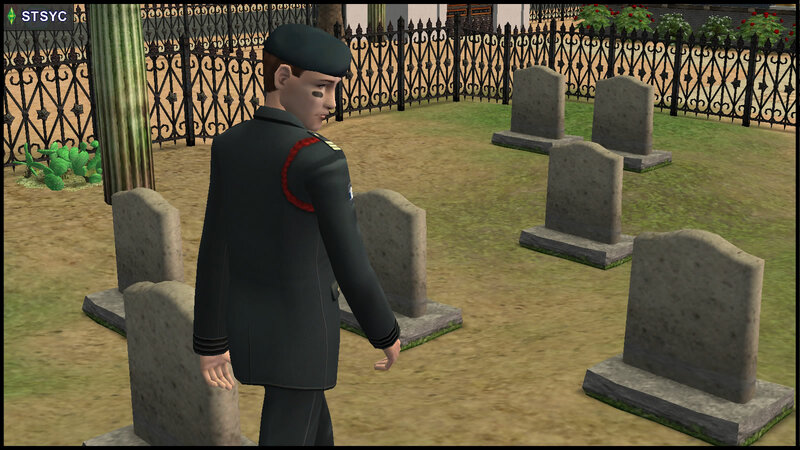 The General ended up not needing to dig up that old connection in Midnight Hollow, saving him the need to drag the aging recluse Lucien Hyde to court as a witness. Olive Specter swore her River Styx oath, then excused herself and went to her room. Ten minutes later, she emerged with a blonde woman. On the surface, the form of Lyla Grunt was exactly as the General last remembered her. Her eyes were cold and distant. Lyla’s eyes met the General’s in a long and cold stare. After what seemed like eternity, she nodded. “Thank you, Specter.” The General turned around too quickly to notice Specter’s nod of acknowledgment. Within seconds, the Grunt couple had whizzed out of Specter’s front door. During the long walk home, they passed by Pollination Technician #9 (PT9) Smith, who seemed to be on a slow stroll back to his house. Lyla said “hi”. PT9 smiled and nodded. General Grunt had never been a fan of the alien patriarch and his family, but thought better than to show too much of his antagonistic side in front of Lyla now, so he simply looked away. Tank, Ripp and Buck were delighted at the return of their mother. Over dinner that evening, Lyla told her sons how she had “gone away for a long walk”, but decided to meet their father one mile outside Strangetown, before coming home together. The General added that he and Lyla would try to patch up their differences, so the boys can expect both their parents to be around for the long haul. PT9 Smith reached home, and sighed in relief upon slumping into his favorite armchair. He had just spent an afternoon with his adult daughters, Lola and Chloe Curious-Smith, who were living with their human roommates Kristen Loste and Erin Beaker. (Lola and Chloe are not Jenny’s children, but that is a story for another day.) Like everyone else in his family, Lola and Chloe had been deeply concerned about his declining health, but PT9 endeavored to maintain a lighthearted, positive mood for his girls. He ate only half of the spaghetti that Jenny cooked for dinner. He did not have much of an appetite, and was too exhausted to talk during the family meal. But as Johnny and Jill were leaving the dinner table, PT9 summoned enough energy to speak. “I love you, Dad,” said Johnny and Jill in unison. Jill instinctively went to PT9’s side for a hug. Johnny hesitated, but it was his turn next. Later that night, PT9 lay awake in bed, as Jenny prepared for bedtime. Jenny’s eyes were brimming with tears. She made a valiant attempt to restrain herself, and keep her smile on her face. She cuddled her elderly husband in a hug, and they soon both drifted off to sleep. 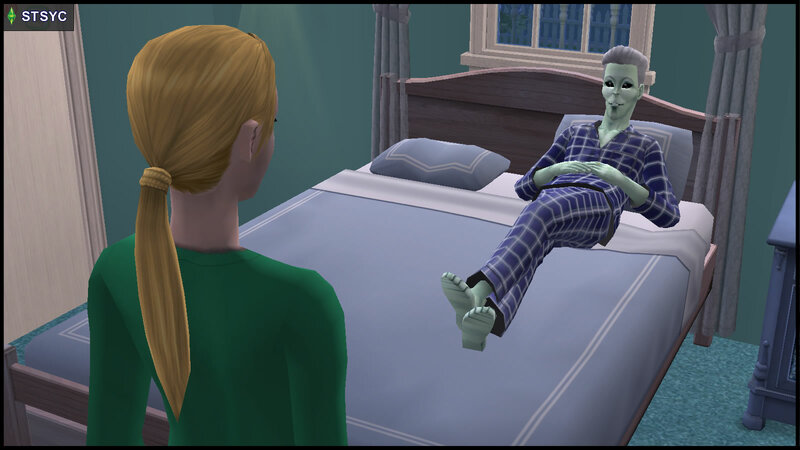 The next morning, Jenny was not surprised, but nonetheless devastated, to find PT9’s lifeless form by her side. 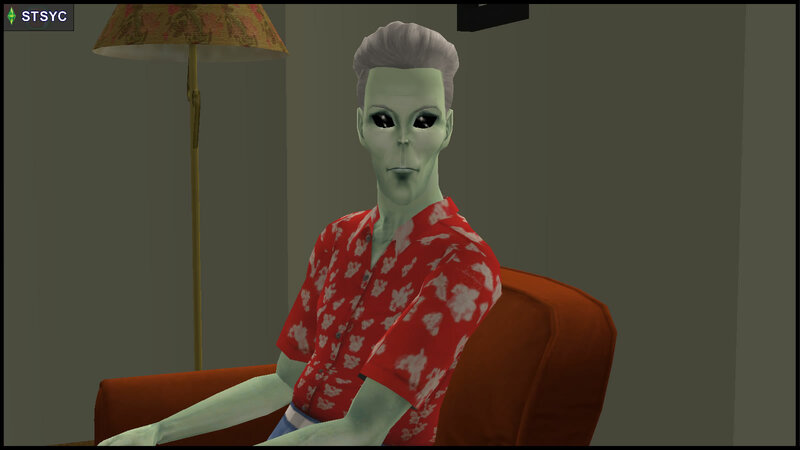 The alien patriarch of the Curious-Smith family had passed away peacefully in his sleep, surrounded by his family from his favorite planet. 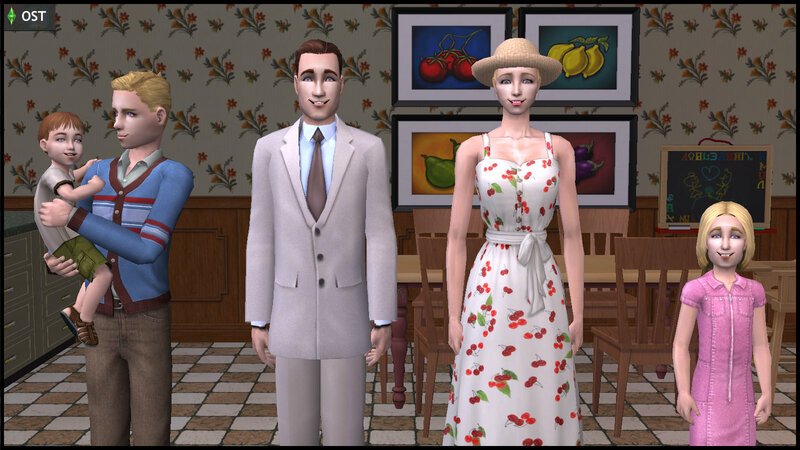 The Doe family is a canonically living family in Midnight Hollow, consisting of parents John and Jane Doe, and their children Joseph, Jennifer and James. 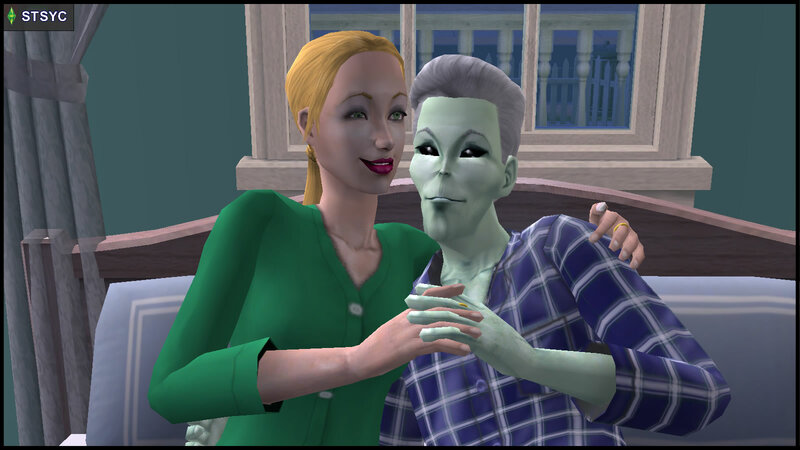 In STSYC, Olive Specter supposedly killed them all. 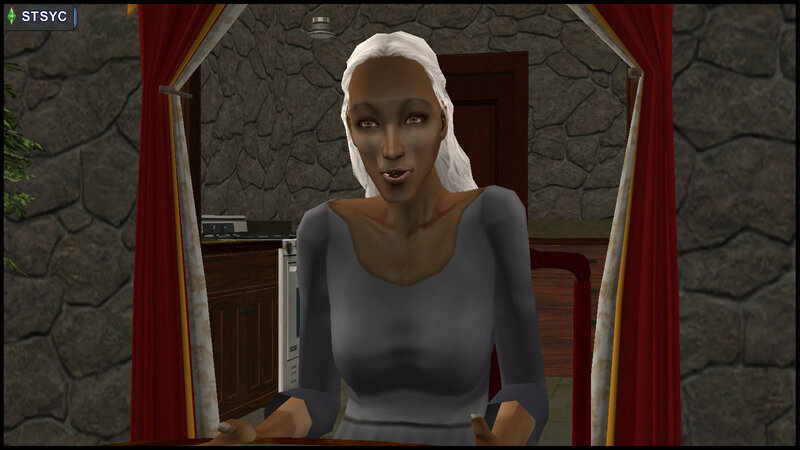 In STM, Bella Goth was referred to as “Jane Doe” for most of the series, when her true name was yet to be discovered. Who knows if there may be any connection between these two women called “Jane Doe”? 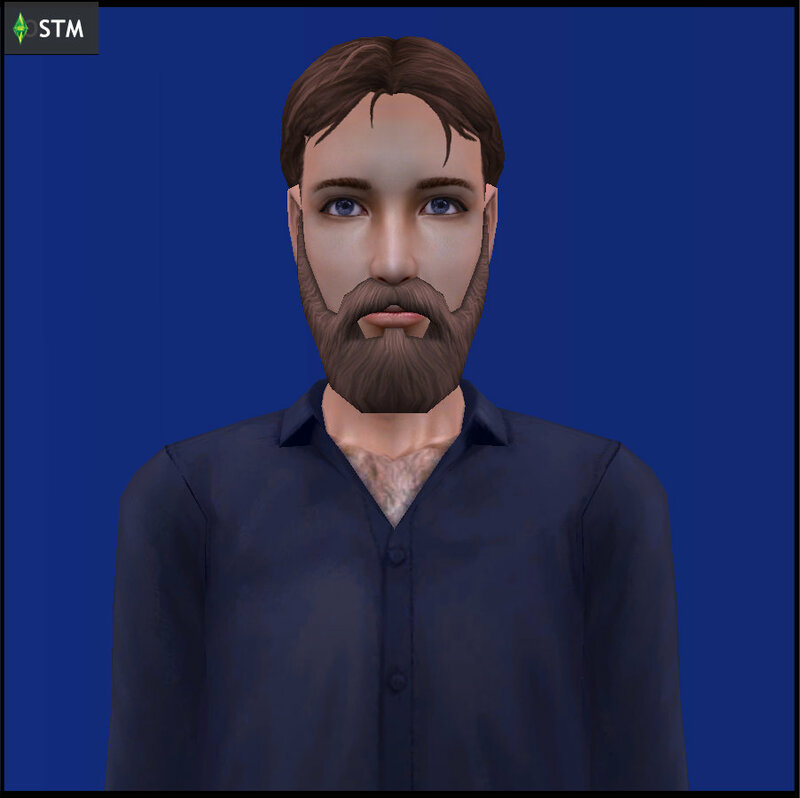 Lucien Hyde is a canon sim from Midnight Hollow, the same Sims 3 neighborhood as adult Olive Specter and toddler Nervous Subject. Lucien Hyde has the Genius and Artistic traits in common with the STM Watcher Dr Prometheus Hyde, whose house in STM is next to Specter Yard. 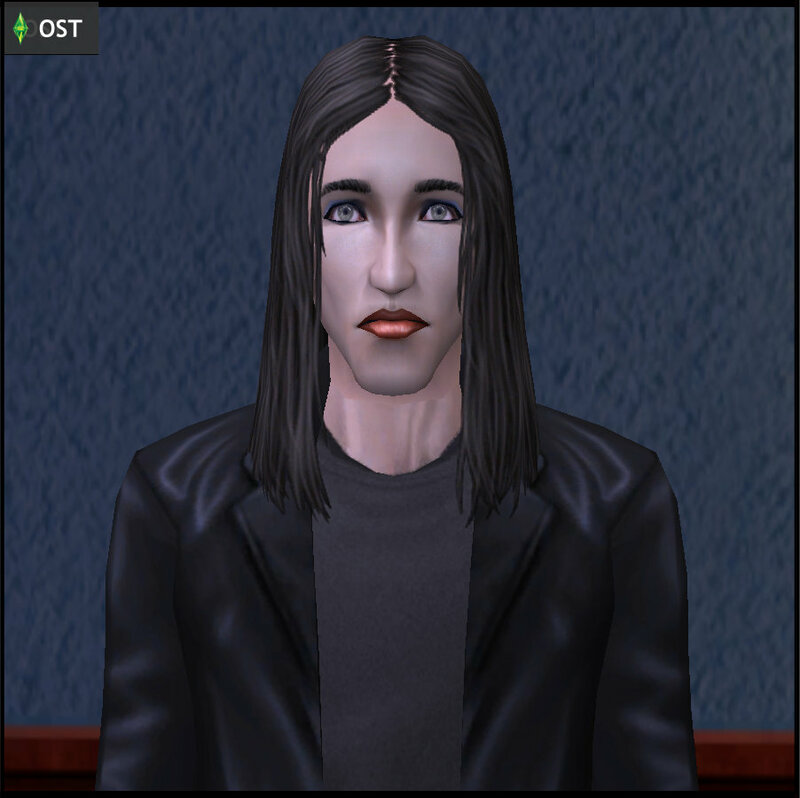 Lucien Hyde is a Marilyn Manson spoof, with a “vampire-style” rocker vibe, while Prometheus Hyde (and the other Racing Men) is also fond of rock/metal music, but his hirsute appearance is more suggestive of a werewolf instead. 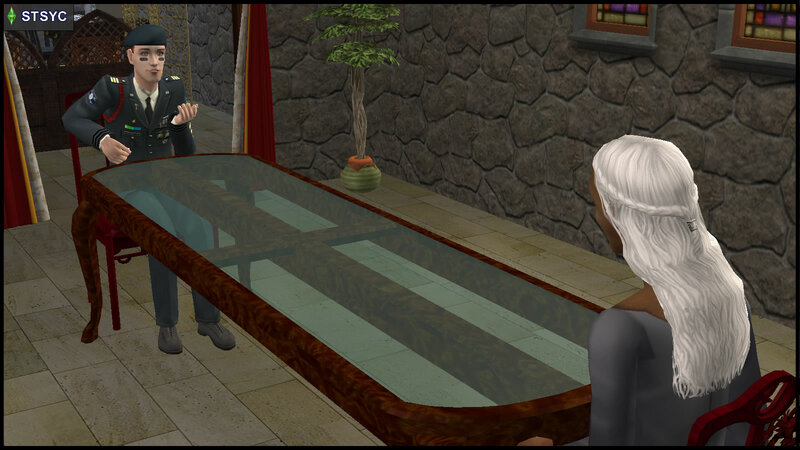 This scenario with the Doe family and Lucien Hyde is explored further in [OST #3: Midnight Hollow]. Lola and Chloe Curious-Smith are from the Singles household, together with Erin Beaker and Kristen Loste. The Curious-Smith sisters’ background would be elaborated on later in an [Extra]. or what you like to happen in your own story. Would the Smiths be jealous of the Grunts? What is Specter’s next move? How much does Ophelia know? 3. One In, One Out? Aww poor old PT9 – wonder if the Smiths will want in on some of this resurrection magic? Lyla’s resurrection reminds me a bit of Helen of Troy in Dt Faustus. Seems like the meeting of PT9 and Lyla on the streets was more than just to hint at the Smith-Grunt feud background. This supposedly chance encounter was significant enough for an Observer (I mean, RM) sighting 😉 The Faustus Helen reference… I’m suppose it’s because Grunt is dealing with an “agent of hell” for “forbidden fruit of a romantic nature”.